Who is Churney and where did he come from? Follow this cute little family in the begging adventures with this adorable new friend. Read along as he teaches many good lessons through trial and error. April Montano has lived in beautiful Idaho all of her life. She was raised on a small farm in a very small town. She has five older siblings' three sisters, two brothers and the best parents any one could ask for. She has many nieces and nephews that she absolutely adores. She is married to an amazing man and they have four adorable children. She has a large extended family. Family is very important to her. She loves reading, the outdoors and many different kinds of sports. She loves to be with her family and friends as often as she can. April believes that imagination is very important in a child's life. 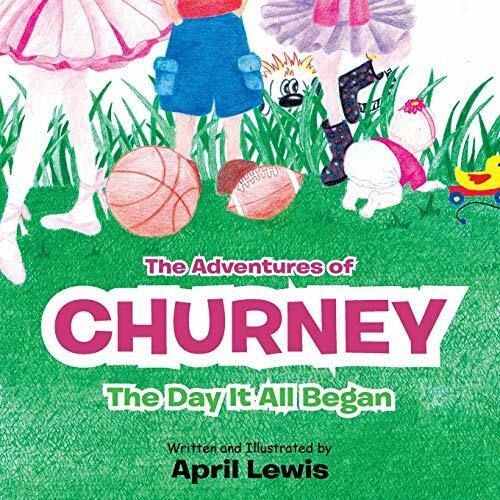 She hopes to inspire and teach with her new series "The adventures of Churney"